Not everyones cup of tea (or perhaps cocoa would be more appropriate?) but my visit to my wonderful daughter last saturday was an opportunity to deliver on my promise to make her some PJ trousers. I had seen the wonderful Pyjama Party sew along but was a little late to join in – so this seemed like a good alternative. 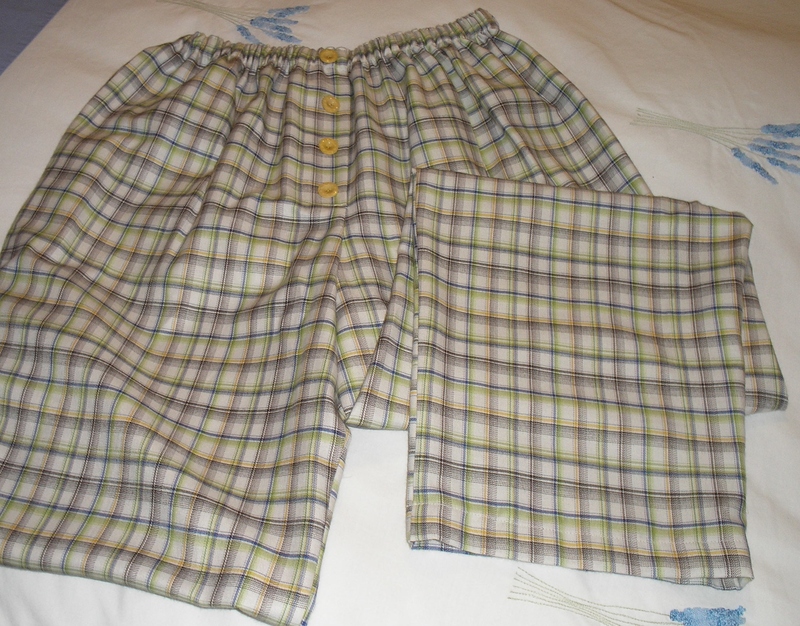 I made these in my poly cotton (526), the same as my own PJ trousers. I know that they wash and wear very well – no need to iron these – and whist nice and cosy they aren’t too warm. I hadn’t thought about putting a mock fly and buttons on my version but it sure makes the front easier to spot when you are tired. Thanks for showing us yours Caroline! The buttons are ‘vintage’ and came from a button tin I was given as a gift from a reading group friend. I am sure she will be happy to know they are being used.The daughter was very pleased with these and will be getting more when the pattern has been declared comfy. 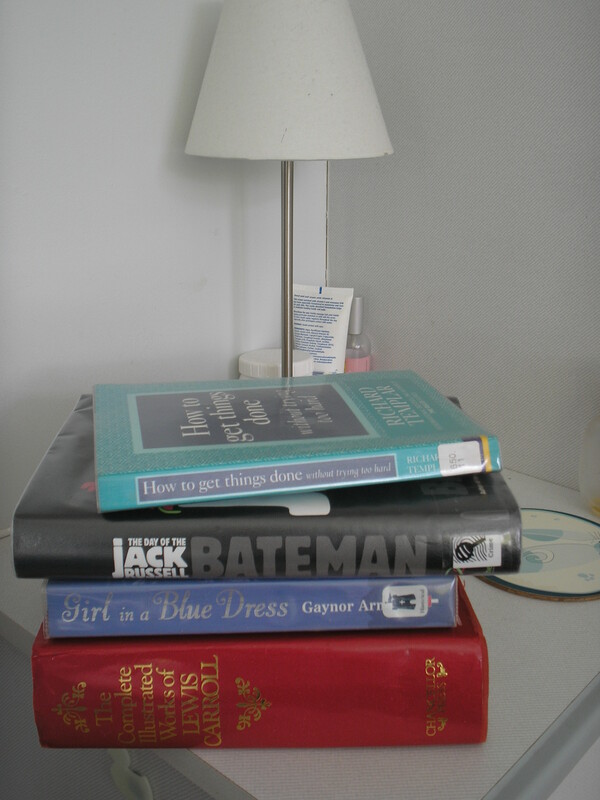 As part of the pyjama party we were asked to show our bedtime reading – I wish my cabinet was always this tidy! And I hope the book on the top delivers it’s promises. What a good book selection, you’re ready for any mood. Those pj’s look wonderfully comfy, and I’m sure your daughter was thrilled with your sweet generosity. Thank you for the mention! Yes, the false fly does indeed make it easier to spot the front, that hadn’t occurred to me, but doh! of course!